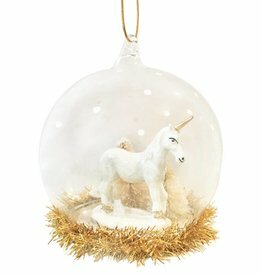 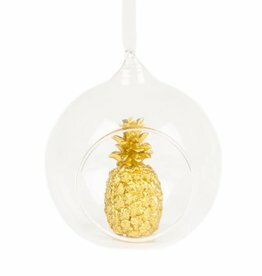 A unique Christmas bauble with a glitter unicorn and a tinsel border. 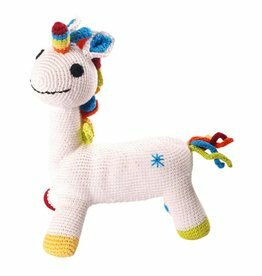 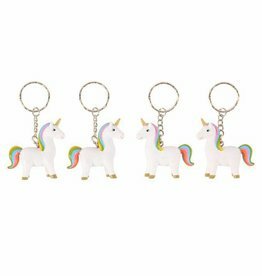 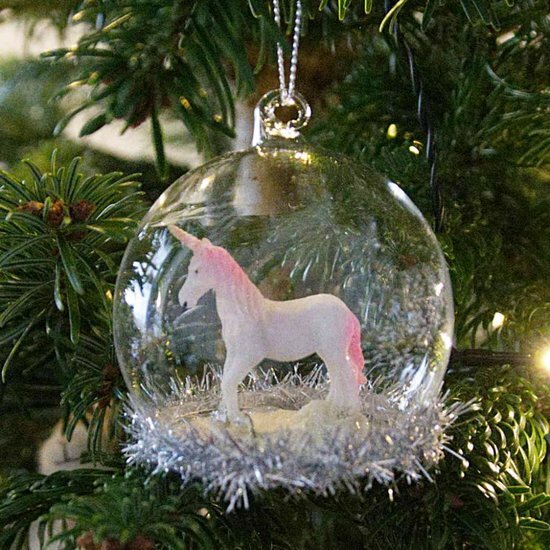 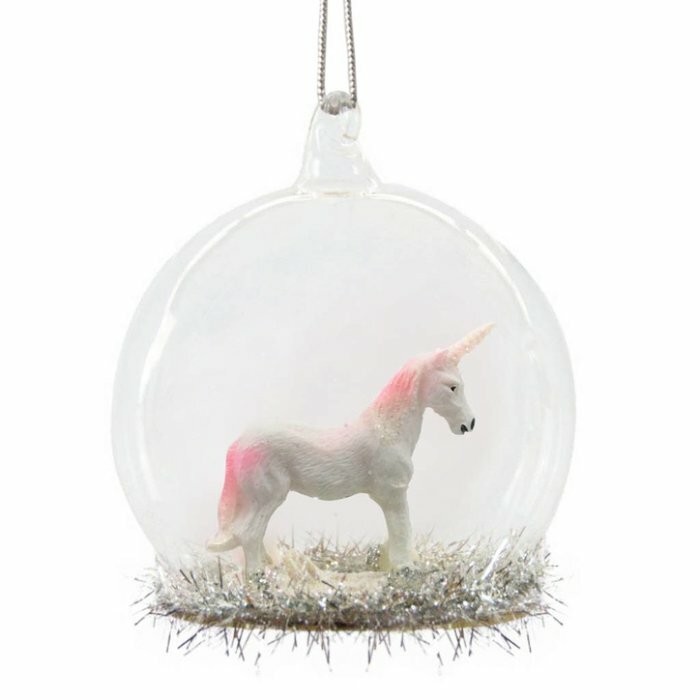 The white-pink unicorn is covered by a glass dome, which makes the Christmas bauble look like a snow globe. 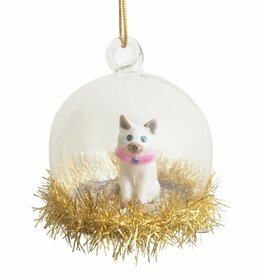 A real eye-catcher on every Christmas tree.